Porto - insists all is not lost following FC Bayern München's below-par showing in Wednesday's 3-1 first-leg defeat to FC Porto in the quarter-finals of the UEFA Champions League. Question: Thomas Müller, how do you explain such a comprehensive defeat? Müller: We didn't exactly get off to the best start. It was a start to forget. After ten minutes, the opposition were 2-0 up without having created any chances. After conceding the two goals, we did a better job and controlled the game. We only let them have a header on goal and combined well going forward and made it 2-1. In the second half, we just couldn't work out what to do. It's disappointing that we weren't able to settle into the game. There was a real battle going on in midfield, it was unsettled, there were a lot of fouls, which didn't do us any favours. The worst thing was conceding a third. Question: Were you surprised by how courageously and aggressively Porto set to work? Müller: No, we weren't surprised. Porto have played and set about things against other teams like that plenty of times before. Teams often attack us early. Our game's about keeping calm, even if it's a bit tighter, but I've never experienced anything like that in the opening stages of a game. Question: Three individual mistakes led to three Porto goals. How do you explain these kind of errors from such experienced players? Müller: That's football. Mistakes happen in football. It's just that when you make mistakes at the back, they can be costly, as it proved today. Question: All in all, it was really tough for Bayern. How come you weren't able to find the means to temper Porto's blistering start and aggression? Müller: Pretty quickly it was 2-0. Then Porto stopped playing football. They stopped pressing high up the pitch and the wide players [Yacine] Brahimi and [Ricardo] Quaresma dropped back to concentrate on our wing-backs. We found it difficult to do anything in the key areas of the pitch because of their physical presence. If you start like we did, the opposition can then sit back. They don't have to do anything else, other than defend well. Question: Is it perhaps down to all the absentees? Does even a squad like Bayern's struggle to compensate for all the injuries? 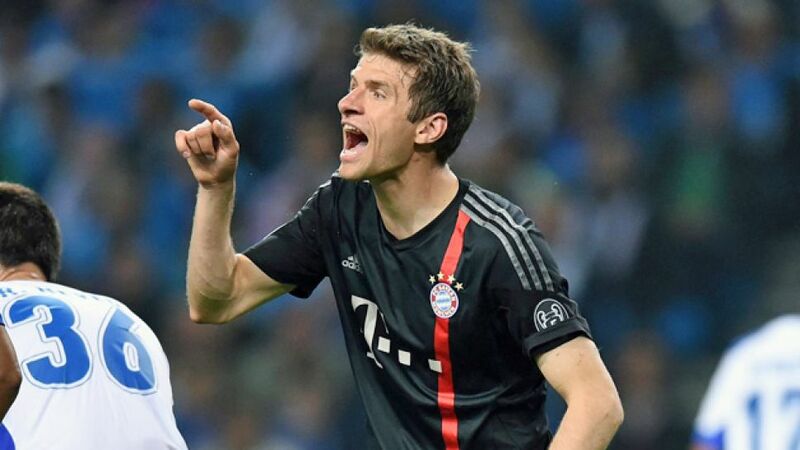 Müller: You can always come up with all sorts of arguments following games like this. You always try to be rational in your explanations. I think we put a competitive team out, but when you concede early goals like that it's going to be tough regardless. Question: What's the atmosphere like in the dressing room? Müller: Obviously we're annoyed, but we're going to put absolutely everything into it on Tuesday. We're playing at home. It'd hardly be a football miracle if we won 2-0 at home, but it's going to take a lot of effort. It won't be a walk in the park and we haven't made things any easier for ourselves with the result, but the away goal gives us hope. Müller: Yes, but we're still FC Bayern. FC Porto are a strong side and obviously we really shouldn't be giving away goals like we did today. It's going to be even more difficult on Tuesday. It's not like we've never won at home. We believe in ourselves, but we know we can't afford to play like that again.